Warm, inspiring and very funny Irish comedian Padraig Hyland brings the feel-good factor the stage by the spadeful. 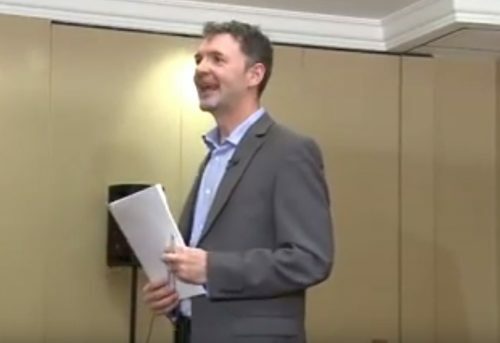 Padraig’s experience as a life coach and international business coach also gives a unique edge in the corporate environment, using these experiences to bring the full benefit out of his fresh, effective and fun brand of comedy. Warm, inspiring and very funny Irish comedian Padraig Hyland brings the feel-good factor the stage by the spadeful. 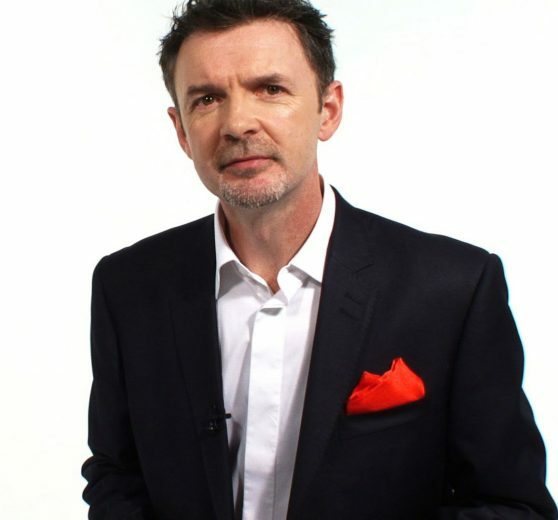 Padraig’s experience as a life coach and international business coach also gives a unique edge in the corporate environment, using these experiences to bring the full benefit out of his fresh, effective and fun brand of comedy. He has performed in the US, Ireland and the UK and was featured at “The Best Of Irish” at the Edinburgh festival. Coaching: Workshops and One-to-One coaching to help you overcome barriers that hold you back from good performance in life. Speaker: Padraig is a motivational speaker and his talks inspire and energise people and are always delivered with a sense of fun. Media: Padraig writes and presents coaching and leadership content for TV, radio and the web. He is a Leadership Coach, Writer and Presenter. He interviews business leaders from around the world and writes and presents Leadership Training content for Meet the Boss TV. He also runs leadership programs for international organizations incorporating training coaching and mentoring and delivered across multiple platforms. He has worked for years as an international business professional in Asia, USA and Europe for major blue chip organisations. He set up his own coaching practice to work in areas that he is passionate about. In particular, a passion for enabling organisations and people to achieve their potential for results and fulfillment. He works with a number of UK and international organisations as a performance coach in areas such as change management, sales performance and leadership. He is a NLP (Neuro Linguistic Programming) Master Practitioner certified by the International NLP Trainers Association. He has completed a program on Advanced Behavioural Modeling. He is also a trained actor and comedian, and integrates performing skills into his corporate work, making for a unique and effective coaching proposition. He has a passion for using fun and humour in the change process. He develops high impact programs which can overcome many of the barriers to performance & fulfillment. He has a passion for using fun and humour in the leadership process. He develops high impact programs which can overcome many of the barriers to performance and fulfillment. He has made it his mission to create thought leading programs that are fun, exciting and engage the target audience. The end result are business programs that are delivered using performing skills, theatre techniques and play, delivered over multiple platforms such as face to face meetings, workshops, internet, video and TV. A typical program might include training, coaching and mentoring. Leadership Coaching can be for individuals or groups and can be in the form of high impact interventions or tailor made programs, both of which are focused on results. All are done with an emphasis on honesty, openness and trust. Padraig offers a 10 session leadership program which is designed to equip next generation leaders with leadership skills. Accelerated learning and a lot of fun. His use of humour is very innovative and thought provoking. Nigel Green, Technology Advisor at CapgeminiUK Ltd.
Padraig is a motivational speaker and his talks inspire and energise people and are always delivered with a sense of fun. He has an open, engaging and sincere delivery that relaxes his audience. He can design a specific talk for your business requirement. Aside from Keynote Speeches you can talk to Padraig about his Toolbox Talks. Padraig’s keynote speeches on powerful performance and embracing change have been received with acclaim in Asia, the USA and Europe. Padraig is a writer and presenter both on radio and TV. He has interviewed many leaders. He is an experienced comedy performer, as well as a business leader. All his content is developed with a sense of fun. Nigel Green, Technology Advisor at CapgeminiUK Ltd.